I’ve written in other posts about the Vital Sign of Sharing Leadership with a Core Team of two or three others. Today let’s talk about HOW you can move from leading solo to team-leading the group. Here are seven steps you can take. Don’t recruit, at least not in the usual way we usually think of “recruiting.” Instead, ask the Lord of the Harvest to send these “workers.” Trust him to help you know whom to ask. Know what you’re looking for. Look for potential, not perfection. Look for servants, not saints. Look for humble hearts, not superior skills or incredible intelligence. Look around you. Perhaps God has already put your core team members right around you. They may be the people in the group with whom you already have close relationships or those whose gifts complement yours. Don’t do it all. People hesitate to be on a team when the leader does too much. As the group’s leader you must grow in your ability to allow others to use their gifts. Don’t over-program this! You don’t need to have a big meeting to announce new leadership positions in the group, with official titles and name badges. (You don’t need no stinkin’ badges!) Just ask a few people in the group to share some of the leadership roles with you. Share ownership with everyone in the group. Share leadership with a selected few. See “Share Ownership, Share Leadership” for more on the difference between the two. 2. Don’t go back! I’ve known leaders who have a core team but then continue leading alone. Don’t do it. In fact, ask your core team to hold you accountable. The next step will help with this. 3. Create a clear plan of action. Who on the core team will do what and when? How will you communicate with one another? How often do you want to meet separately from the group to play, pray, and plan? 4. Share shepherding/discipleship. Look at your group’s roster when you meet with your core team. With whom do your core team members have natural relationships? Utilize those friendships as a point of origination to shepherd them through the core team members. In one group at our church, a core couple with young children strategically shepherded the other couples with kids. It was a natural alignment. Later, as the group grew, the couples with kids launched a new group. It could not have happened more organically and easily! 5. Actively develop core team members. Leadership development is easier with the core team approach, but it requires intentionality on your part. Strategically give your core team members opportunities to lead meetings. Then visit with the core team to encourage and provide feedback. If you do this with other core team members, everyone will benefit and become an encourager. I like doing brief recap sessions right after a meeting, when possible. 7. Extend the Kingdom. Core teams make for healthier small groups, and healthy small groups grow. As you move to a core team approach, your group will surely grow and multiply. 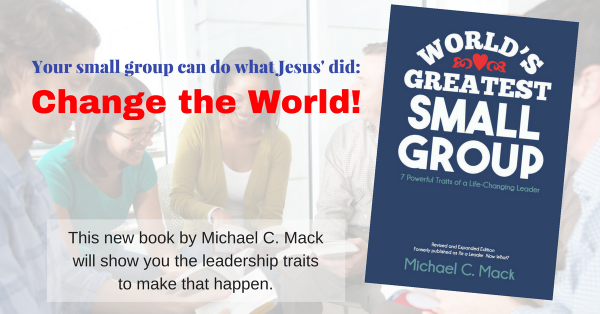 It is just the natural result of doing small group leadership as a team. In my church, we do not put any time limits or size limits on groups. We simply help them become healthy and the groups branch off or multiply naturally. Next article The Most Important Thing You Do Today: It’s Not Reading the Bible!